I promise that my Friday Favorites posts won't always be a list of links (and if you're looking for a more "real life update," feel free to check out my latest coffee date post!). Buttttttt, I would love some input from you guys about which welcome mats you love! I am tempted to make my own (and when I do, I promise to document it with MAXIMUM FEISTINESS because my DIYs never quite go as easy as I expect them to...when will I ever learn...), but there are so many cute ones that I might just splurge and get one of these. This and this DIY tutorials make it seem easy enough, right?! And yet I know when I actually go to try it, I'll be like a bumbling old fogie trying to navigate the iPhone camera. So, what are you up to this weekend? 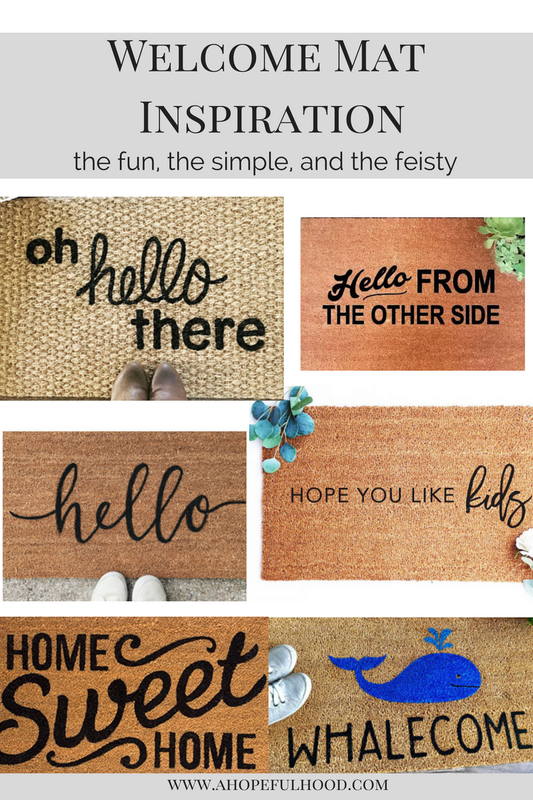 Have you tried to do a DIY welcome mat? What saying would you go with?? ?